Yogi Bear's Mammoth Cave Camping Resort is great for families looking for a close-to-home Spring Break option. This campground is a perfect getaway for you and your family! They are committed to making sure your family will have a positive experience while making memories. 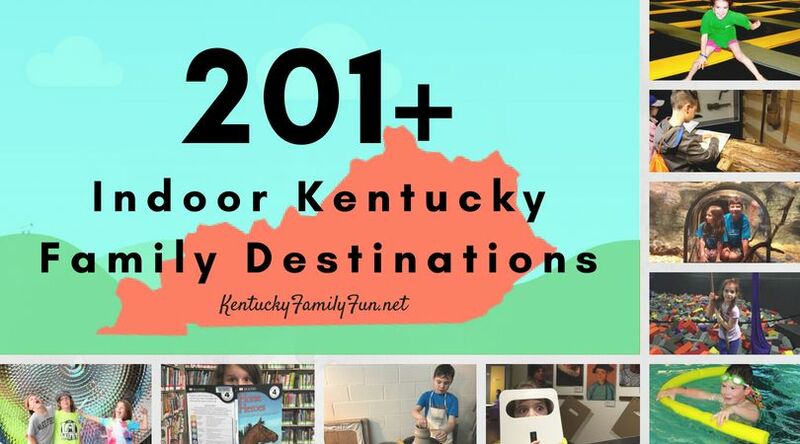 It is located in South Central Kentucky in the heart of Kentucky's Cave Country so there are lots of activities close by. Remember to make your reservation early. This camp ground books up fast during spring break, and weekends during the summer. 1. They have 2 family-friendly pools for your enjoyment, pools open in late March (they are Heated). 2. Your little one will enjoy the splash pad, this is conveniently located next to the pool. 3. I was extremely impressed by how handicap-friendly this campground was, they have a lift in the pool that parents can use for a child with special needs. The bathing facilities are also handicap friendly. 4. They have a 300 foot water slid that is on a side of a mountain, my kids loved this slide! This slide is staffed when open to ensure your children are safe at all times. 5. Bring your fishing poles, they have a large pond stocked full of fish. 6. The jumping pillow was one of my kids' favorite activities. ( I had fun too!) Jump with your kids, it's a awesome workout, plus it wears them out and they sleep wonderfully. 7. Cabin rentals are available! They have lots of cabins to choose from to accommodate a large or small group. Each cabin is fully stock with all of your kitchen needs and are air conditioned, they do not provide bed linens so bring them with you. If you chose to stay on a weekend or holiday they require a two night minimum stay. 8. Putt Putt golf is included in the price of an over night stay. 9. They have a game room for those rainy afternoons........perfect! 10. If you do not feel like cooking, they have a snack bar that offers pizza, sandwiches, drinks and more. 11. Do not worry if you forgot something at home they have a gift shop that sell groceries, fire wood, fire starters, and souvenirs. 12. If you want to meet Yogi Bear in person along with his friends, make sure to check the calendar for that day! This campground has meet-and-greet times so you can take pictures with Yogi. 13. They offer family-friendly fun activities everyday some include chocolate wars, game night, karaoke in the evenings, water wars, water games daily by the pool and more! You can check online and see the schedule for the week you will be arriving and everyone can get excited.